Try this fresh, tasty dish from our Summer 2017 issue of Family Club. 2. Place the fish in a baking dish, season with salt and pepper and pour over 400ml of the milk. Bake for 15 minutes until the fish flakes slightly when pressed with a fork. 3. Remove the fish from the milk and flake the fish with a fork and set aside. 4. Boil the potatoes in a pot until soft – around 15 minutes. 5. In a large pan, sauté the leeks and spring onion in the olive oil until soft. 6. Melt 50g of the butter in a saucepan, stir in the flour and cook over low heat for two to three minutes. 7. Slowly add the milk that you cooked the fish in and stir with a wooden spoon until thickened. 8. Add the flaked fish, sautéed leeks, onions and peas, one tablespoon of the parsley and the lemon juice. Season with salt and pepper. 9. Mash the potatoes with the remaining 50ml milk, 50g butter and two tablespoons of the chopped parsley until smooth. Add salt and pepper if required. 10. 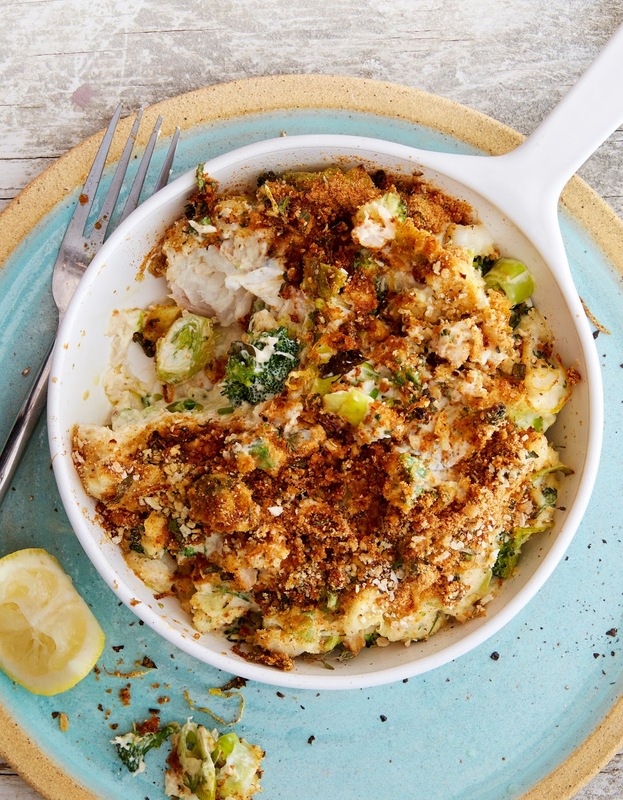 To assemble, pile the fish mixture into a large baking dish or individual casserole dishes. Spoon the mash on top and smooth to the edges of the dish and sprinkle a handful of breadcrumbs over the top. 11. Bake for 20 to 25 minutes or until golden.